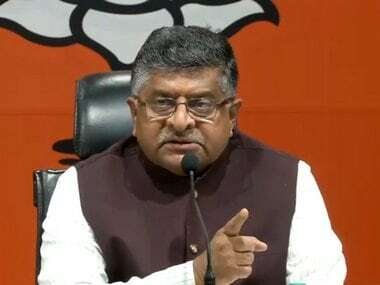 Patna: On his first visit to the city after being declared as the BJP candidate from Patna Sahib, Union minister Ravi Shankar Prasad was on Tuesday shown black flags by alleged supporters of another party leader, leading to a clash with party workers who had gathered at the airport to welcome the Lok Sabha poll debutant. Prasad, a resident of the Bihar capital whose late father was a state minister and leader of the Jansangh, was shown black flags by the alleged supporters of R K Sinha, a Rajya Sabha member, who was hopeful of a ticket for the seat which is currently held by dissident MP Shatrughan Sinha. 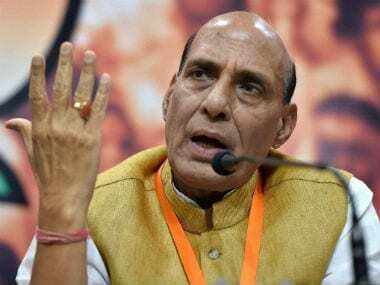 The Union minister drove away while telling the posse of media persons who stood waiting at the airport, "I thank my party for considering me for this great responsibility. I will be giving my best shot. 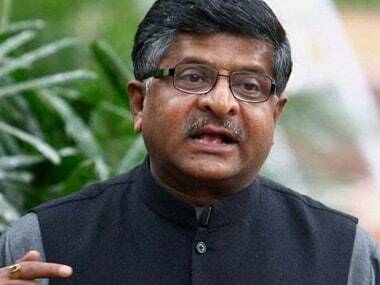 The BJPs commitment to nationalism and good governance will help Narendra Modi return to power." As supporters of Prasad and Sinha shoved each other and exchanged blows, they were quelled by security personnel deployed at the airport, though it was not known if any of them were detained. Sinha is the founder of a prominent private security provider in the country and belongs to Kayastha community, to which Prasad and Shatrughan Sinha also belong. 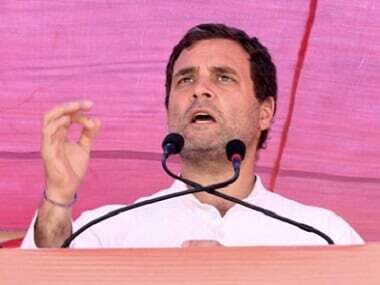 An office-bearer of the Akhil Bharatiya Kayastha Mahasabha had recently come out with a statement saying that the community which has remained steadfast with the BJP post-Mandal would not vote for Prasad and that only RK Sinha was acceptable to it as a candidate. 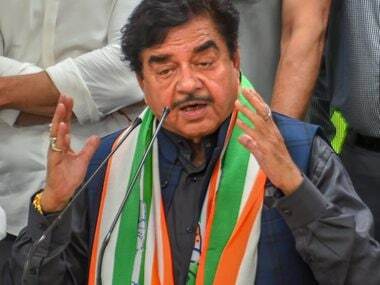 Shatrughan Sinha, who is completing his second consecutive Lok Sabha term, is expected to be fielded as a candidate of the opposition "Mahagathbandhan" comprising RJD, Congress and other smaller parties.